Creeping Toes sounds like it might be a fungal growth or an alien invasion, however it is my terminology for a problem that is creeping into the world of hoof care. 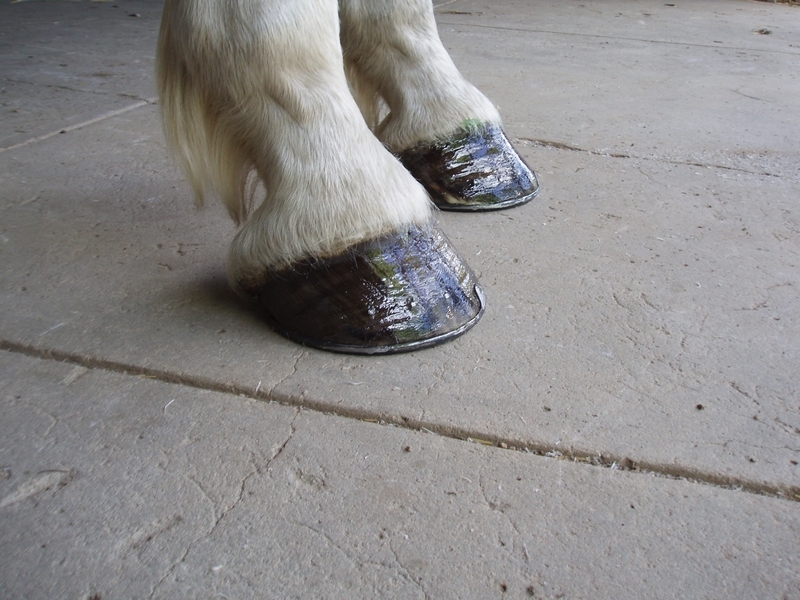 Creeping Toes answers a lot of questions when related to the long toe/low heel problems, and it would seem that the majority of us just don’t recognise where the actual sole line should be at the front of the hoof. 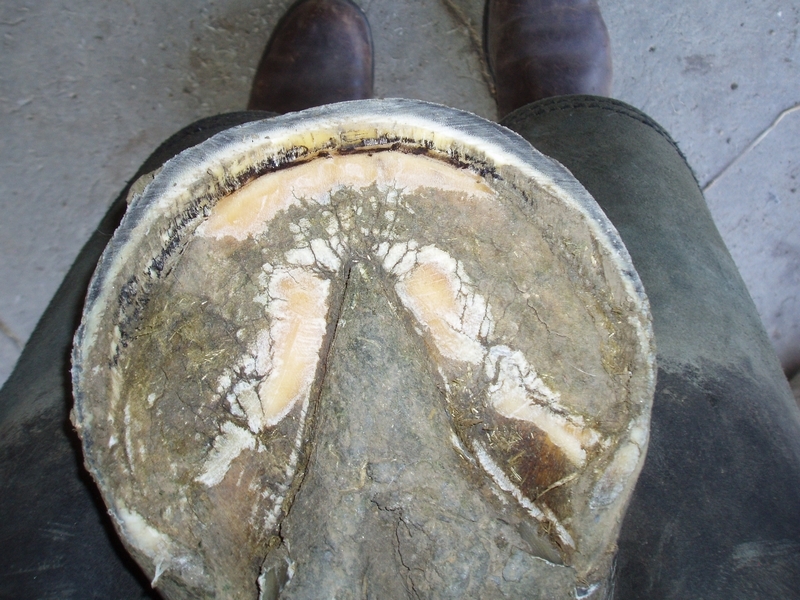 If you look at the cleaned out sole of the hoof that is due to be trimmed, and if you view it as a saucer held up and nearly full of water, the level there is an even water level line all around the edge. This describes where that junction of the cleaned out sole should meet the laminae/white line at the inside edge of the hoof wall, known as the true road map in the bottom of the hoof. 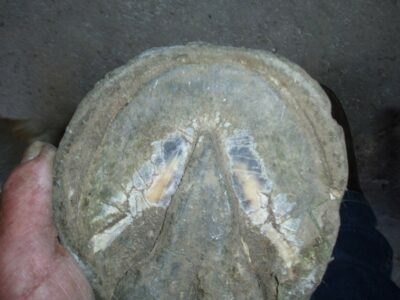 However in the untrimmed hoof you will see that this line of sole/hoof wall junction appears to be lower along the sides of the sole and rises at the toe section and the heels, so it is giving the distorted impression that the sole has a curved plane towards the toe. If we attempt to level a hoof using this junction of the sole at the toe (Pic 1) we have left the front of the hoof too high and it will also be too long. When this is repeated at each preparation the toes will creep out longer and longer. Many people mistakenly believe that the side walls of the hoof are normally weaker or thinner and that the toe wall is thicker; however in the correctly balanced hoof which has been maintained regularly there is an even thickness of the hoof wall from heel to heel and it never breaks away at the sides. This is how this whole problem of the creeping toes evolves, and it is inherently linked to the long toe/low heel syndrome. In order to find the correct height of the hoof wall at the toe, that piece of sole callous (Pic 2) must be removed to show that the true line of the hoof/sole junction is level. (Pic 3) The hoof wall may then be trimmed to either unshod or shoe fitting height, then to achieve the correct toe length the hoof must be rasped to an even thickness outside the white line, and the heels should then be adjusted to obtain a level ground bearing surface of the hoof wall. The Creeping Toe Syndrome is the cause of laminitis in the front section and low or under-run heels; it is also the cause of weak side walls because the long toe pulls forwards and stretches the density of the hoof thickness at the sides; it also creates hoof related back strain as the long toes cause a delayed breakover of the front hooves. 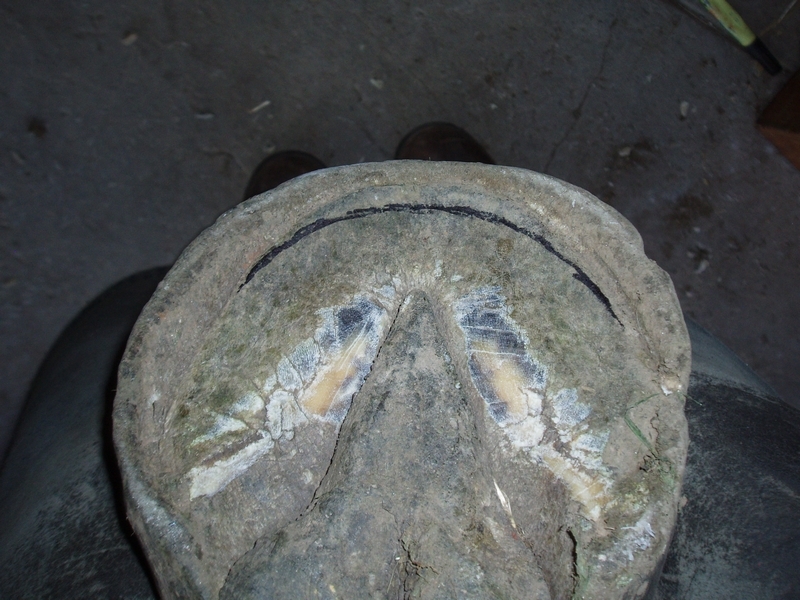 Correcting the toes puts all of these things back to into balance and achieves a correct hoof/pastern angle (Pic 4). Take the time to identify the true road map in the bottom of the hoof – it is important for the horse, and the shoes will fit better.